Canon 1D Mark IV Coming Tuesday, Oct. 20…. UPDATE 10/20/09: The Canon 1D Mark IV has been announced. Additional info on Photography Bay’s Canon 1D Mark IV Reviews and Resources. After the recent announcement of the Nikon D3s, it appears that Canon may be ready to introduce a new flagship of its own. Rumors are flying from a variety of sources that Canon will unveil the 1D Mark IV on October 20. Specification rumors have centered mostly around an APS-H (1.3x crop) sensor in the 16-megapixel range and still image frame capture rates at 10-12fps. Rumors have consistently suggested 1080p video capture with the same capture rates as the Canon 7D. One poster on the Fred Miranda forums says that Canon Spain has unofficially informed pro shooters that the 1D Mark IV will be released on October 20. Another forum member reports seeing the a retailer’s inventory system that shows the 1D Mark IV and 1Ds Mark IV priced at $4995 and $6995, respectively. 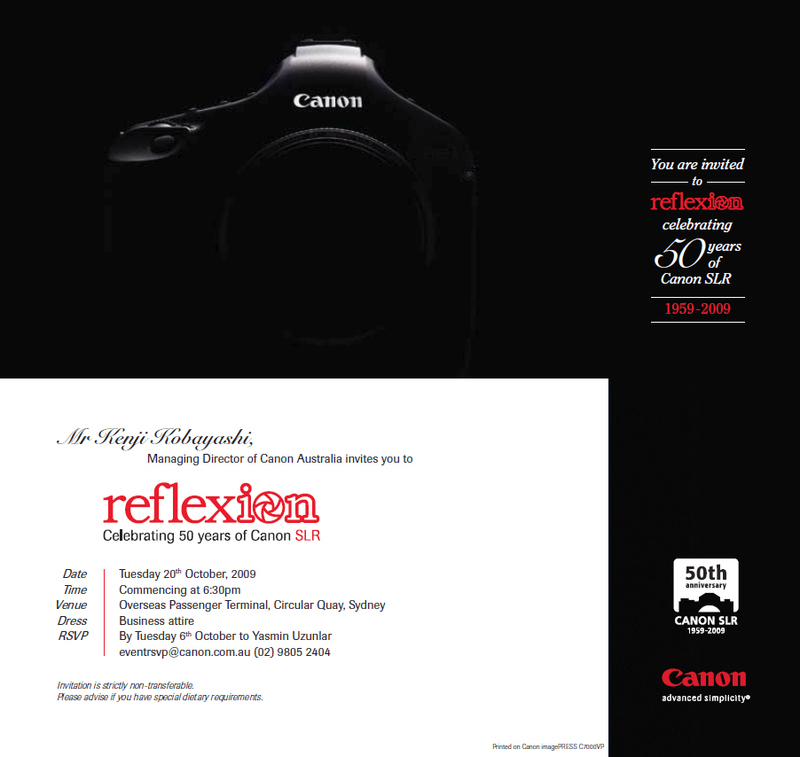 Consistent with this rumor, Canon Rumors has received a number of “tips” on the announcement, including a copy of the press invitation above regarding Canon’s celebration of 50 years of its SLRs. Stay tuned. This looks like it could be the real deal.